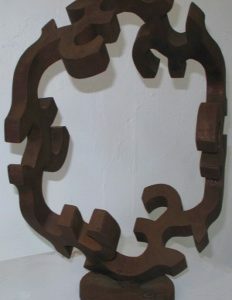 210x425x20cm. 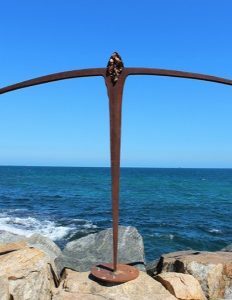 Sculpture by the Sea Cottesloe 2013. 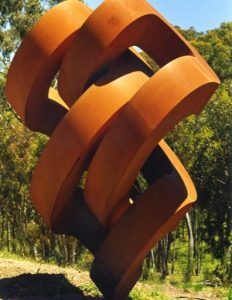 Greg Johns is one of Australia’s best known and most successful contemporary sculptors. 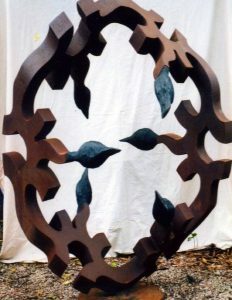 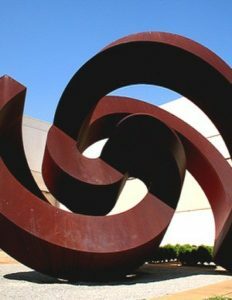 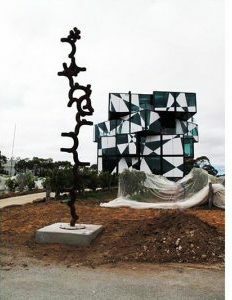 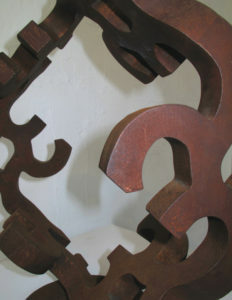 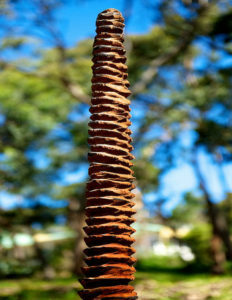 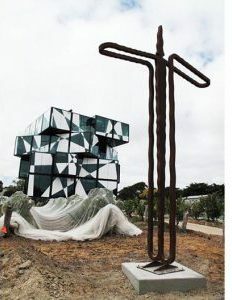 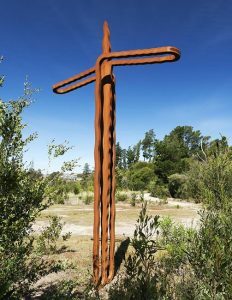 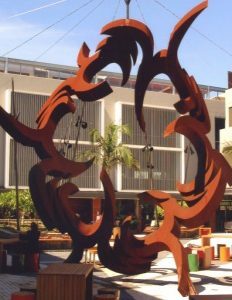 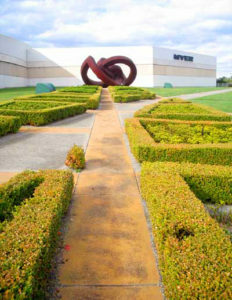 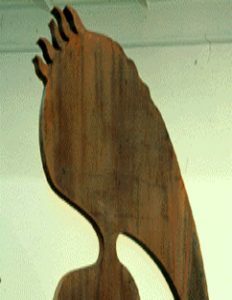 Based in Adelaide, he has been making sculptures for public spaces since graduating from the S.A.n School of Art in 1978. 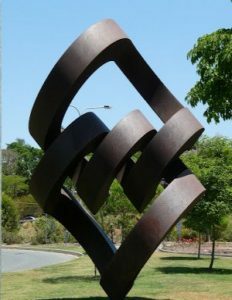 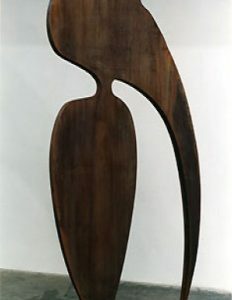 He is a member of the New York Sculptors’ Guild and the International Sculptor Centre and has participated in numerous solo and group exhibitions in Australia, New Zealand, Hong Kong, England and the United States. 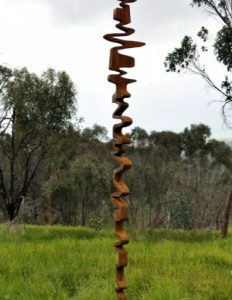 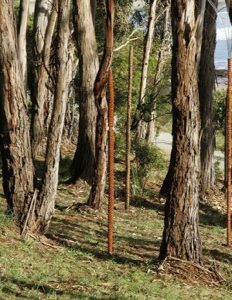 Johns’ work is deeply influenced by the big sky country of the Adelaide Hills, characterized by its simultaneous toughness and vulnerability. 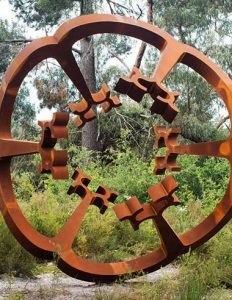 However, over time, a layering of ideas has evolved within Johns’ aesthetic, which could be said to tie his work more tightly with the object matters of Melbourne based artists, rather than the Conceptual non-makers of Adelaide. 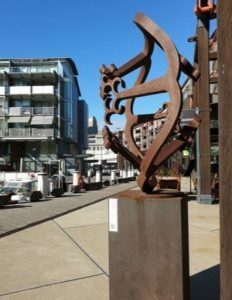 Despite placing importance on the local context of his practice, recognition and acceptance of his sculpture has come largely, from outside of his hometown. 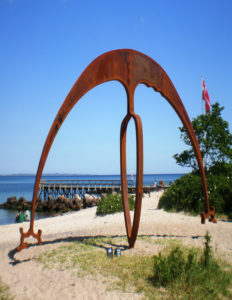 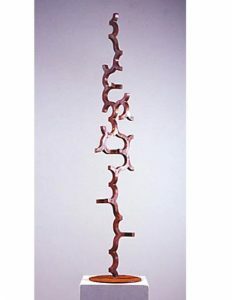 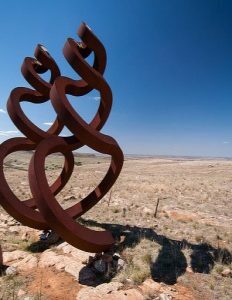 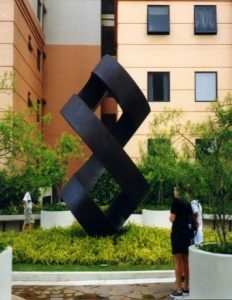 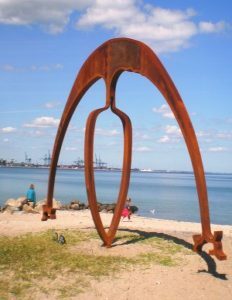 In 2005 Johns was selected as a finalist in the Helen Lempriere Sculpture Prize, and he has received numerous public and private sculpture commissions.